Essential trekking & hiking tips for beginners, Backpacking (Trekking) gear list beginners. We all aware that Trekking & hiking is done in places where the encroachment of people is least or not at all, only then you will be able to enjoy the real trekking & hiking experience and observe nature closely, for that one needs to visit serene places. Serene place means a place where there is no human interference and one come across real close to nature i.e., home to varied flora and fauna. When a person visit such place for the sake of adventure and exploring one may also encounter there certain kind of animals( grass eaters, men eaters), certain kind of plants ( life taking, life saving),that till date one only watched in the TV. Trekking is not done on the recliner, sitting comfortably in the home, you have to leave your comfort zone, and have to leave for the remote area where there is non availability of food, water, where there is no signal in mobile network but signals of dangerous man eaters. In the following points, I will try my best to mentally prepare you for the challenges of a hike and to make your trek or hike a memorable one. Trekking involves detailed planning before you face the wild situations. Let's discuss the points which a beginner hiker must know and the things that money can't but are worth knowing before leaving for a trek. These are the things that one needs to remember before leaving for its first hike. 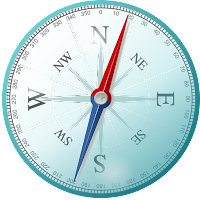 A Compass & Map is Must- Before leaving for a jungle trek, you must acquire complete knowledge about the trekking (hiking) destination and should take a map and a compass with you. Regardless of how much you have enquired about the trekking or hiking place, but when you face the jungle, mountains in reality you start to realize how small you are before the power of nature. 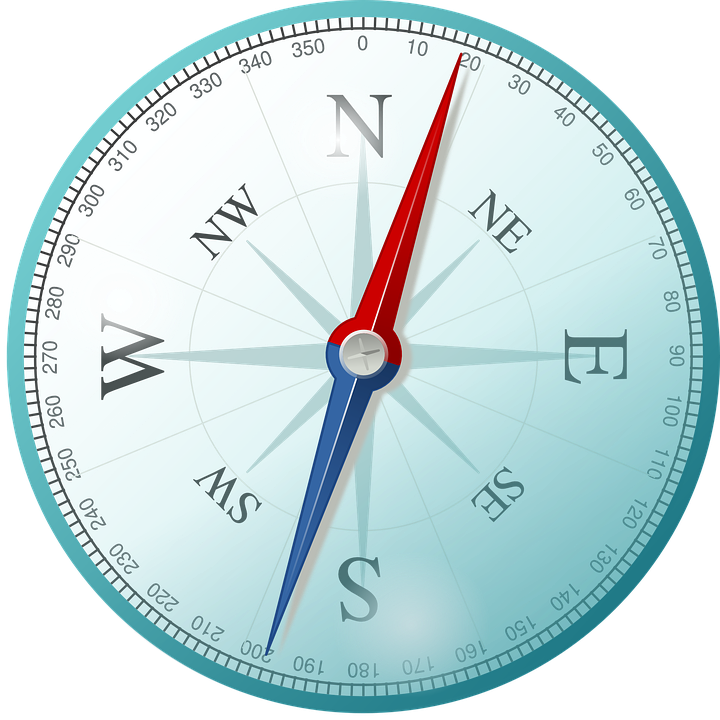 At that time a map and a compass comes handy. Share your plans- According to several hiking experts, sharing your trail plans with those closest to you is very important especially if you'll be trekking (hiking) alone. You need to inform them when you will start, which trail you are going to follow as well as the time you'll return. 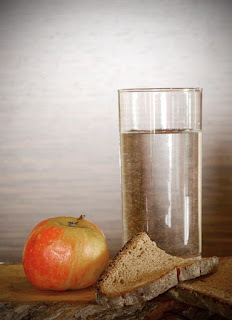 Sufficient food and water- Whether you are trekking/hiking for a day or more than a day you can never know when the circumstances go contrary for instance if you going for a mountainous pathways, there is a danger of injury and if unfortunately you get a serious injury then you will realize the importance of your stocked up food, so make sure you pack enough protein bars, nuts and extra water with you. 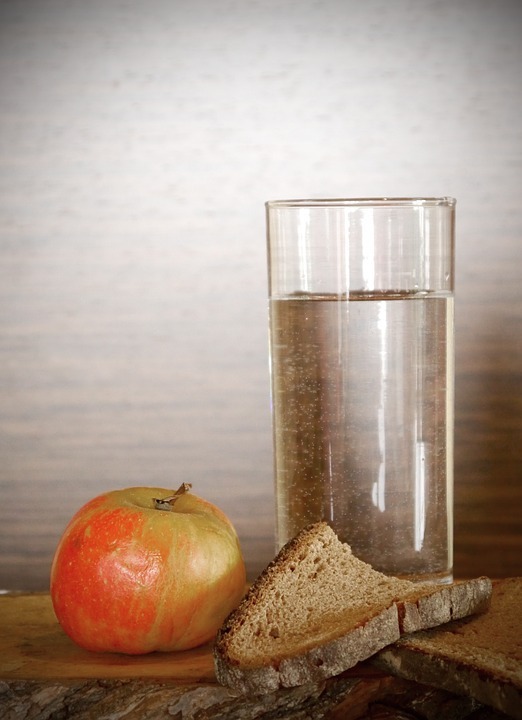 Alternatively, you can consider taking water purifier tablets of your choice just in case you run short of water. First Aid Supplies- As everyone is aware of the fact that you can never tell the next thing life could be so before you go out hiking, make sure you have a first aid kid with essential items. 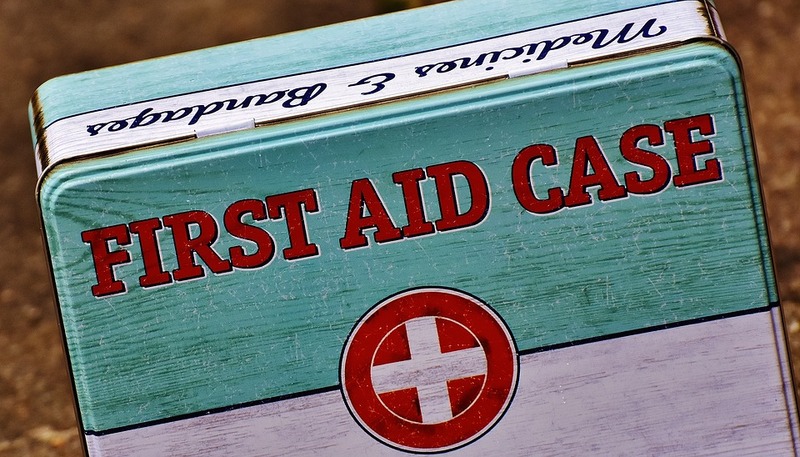 Although everyone has different medical needs, one should at least have a basic kit that must include bandages, antiseptic liquids, sting and bite treatment, scissors, adhesive tapes, etc. Stay safe- When you go for a trek/hike you don't confront there with humans rather you may have to encounter there with damnific animals and plants that you have only seen on Television till date. Make yourself prepared for the confrontation. One of the basic safety rules is not to touch, pick up, or eat any fruits, flowers, plants along the way. Have necessary tools- You have to make sure to take all the necessary tools and weapons with you before heading for a trek. One must have a big army knife, a lighter, a rope, a small tent, a torch, etc. 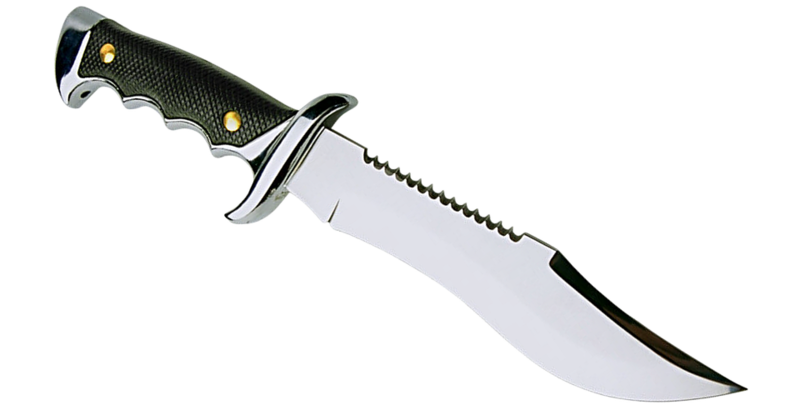 These tools definitely come handy for every trekker/hiker. Don't use deodorant- This point may sound absurd but this is the fact. According to trekking (hiking) experts before leaving for a trek make sure to not use any deodorant or fragrance in your body. 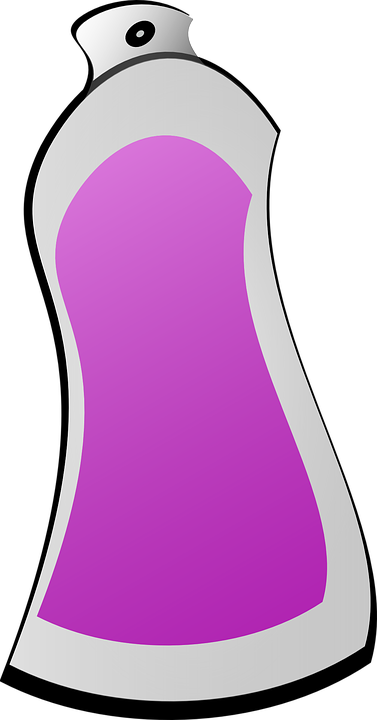 As these fragrances may attract dangerous jungle bees towards you apart from those bees bears are also very sensitive to fragrances. A bear can sense the fragrance from several kilometers away. Make sure to fully cover your body, Wearing clothes that are sun proof, wind proof and rain proof is extremely necessary, apart from that wearing protective clothes also keeps you safe from insect bites and other small cuts that can occur during trekking (hiking) especially in Jungle. Before leaving for a trek, keep in mind that you don't have to wear colorful clothes. Colorful clothes attract animals toward you. So make sure to wear camouflage before you go for a trek. 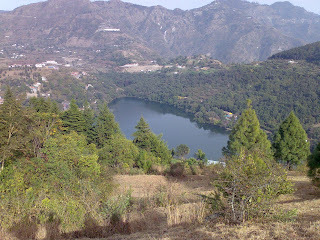 Talk about the sights of Nainital, the lakes are the main attraction for the tourists visiting Nainital. 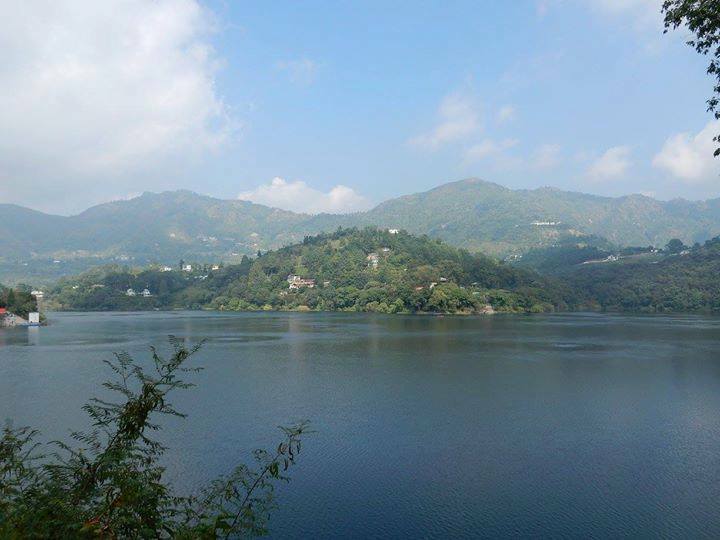 Here in Nainital district along with Nainital lake there are Bhimtal, Sattal, Naukuchiatal which also got the lakes. Nainital has turned into a concrete jungle, during the tourist season there is a traffic jam most of the day all over the Mall road, now even the DM of Nainital has ordered that the tourists should arrange for their car parking before coming to Nainital. 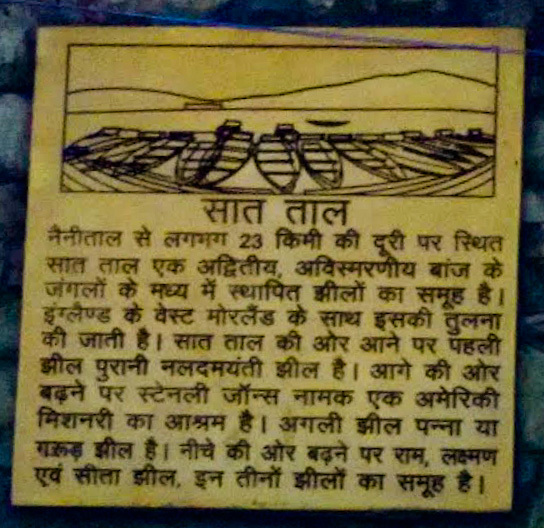 read here my article about why one should not visit Nainital. At the same time, the beauty of the lake of Naukuchiatal, the greenery and natural beauty of the lake will still attract you. The words that one will definitely utter after reaching Naukuchiyatal, "This is the place I was looking for". Because of nine corners this lake is known as Naukuchiatal, this lake is situated at an elevation of 3969 feet above sea level, it is 983 meters long, 693 meters wide and 175 feet deep. Water level in this lake is almost the same throughout the year. It is said that there is natural source of water inside the Naukuchiatal lake, because of that the water level never decrease in this lake. 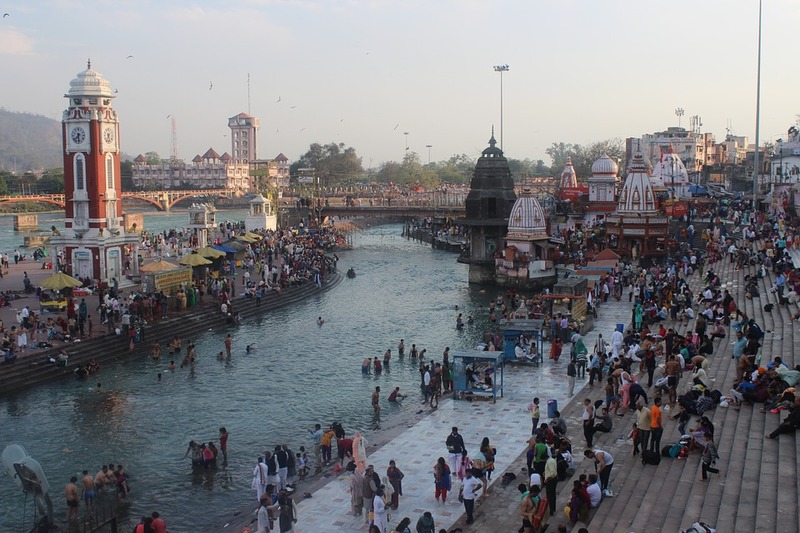 According to popular beliefs, "whoever sees all the nine corners of lake at one shot, attains Nirvana." The maximum temperature in Naukuchiatal from April to June increases by up to 30 degree Celsius but touching the lake water and the cold wind around the lake fills us with new zeal and refreshes our body and mind. The monsoon season remains till mid of September, due to the difficulties of travel and the problems of landslides, people avoid travelling to these hilly areas, though after sufficient amount of rain the mountain look like a new bride. During winter the tempearature ranges from zero degrees to 20 degrees in Naukuchiatal, if you are planning to visit here during winter than do not forget to take sufficient warm clothes. Naukuchiatal is located about 24 kms from Nainital. Apart from local shared taxis, there are 2-3 government buses also operate between Nainital- Naukuchiyatal. Nainital - Bhowali - Bhimtal - Naukuchiatal ( 24 kms)Shared taxis are available from all the towns mentioned above. Public transport is not only inexpensive but also you get the opportunity to interact with local peoples and get to know about their customs, rituals, etc. Kathgodam is the nearest railhead for reaching Naukuchiyatal, distance between Naukuchiatal and Kathgodam is 26 km, one need to reach Bhimtal there is no need to visit Nainital if coming straight from Kathgodam towards Naukuchiatal. Those who love to spend some stressfree time in the lap of nature, or want a good weekend destination, Naukuchiatal is perfect for them. The special thing is that Naukuchiatal is not much distant from big cities like Delhi and Lucknow. From Delhi one can hop on the Ranikhet express and reach Kathgodam by 6 A.M, Naukuchiatal is just 1 hour away from Kathgodam. 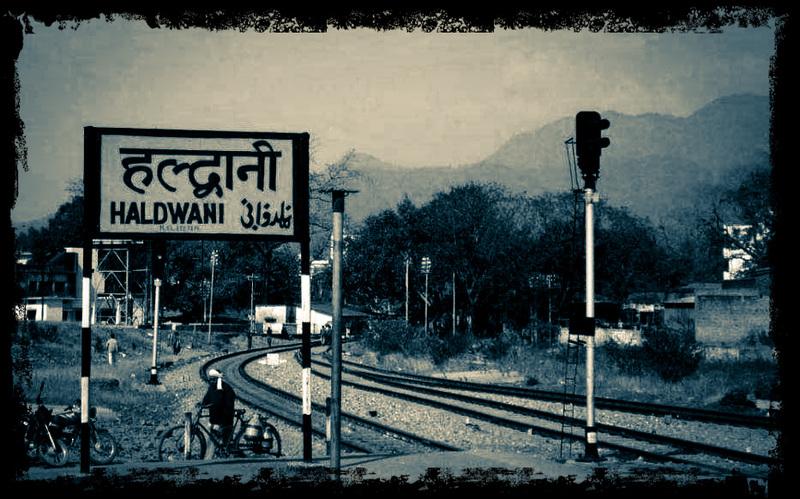 The distance from Delhi to Kathgodam (Haldwani) is 292 kms and from Kathgodam (Haldwani) to Naukuchiatal is 30 kms. It barely takes 5-6 hours to reach Naukuchiatal from Delhi. 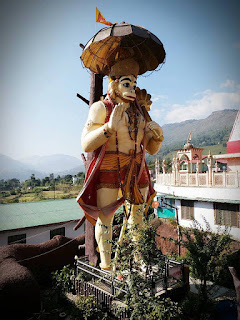 The most common attraction for visitors of Naukuchiatal is the lake there, seeing branches of trees lying in the lake and watching the monkeys playing on those branches, hearing tweets of birds around the lake is a blessing in itself. Due to multi cornered lake there is often rain in one corner and sunshine in other, seeing such a scenario is different experience in itself. 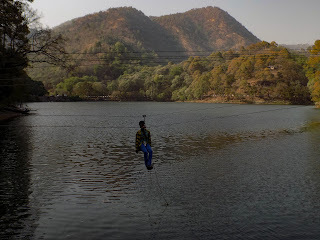 Nowadays kayaking in the Naukuchiatal lake is becoming a favourite adventure for tourists especially for youth. Kids enjoy the water zorbing activity in Naukuchiatal lake. 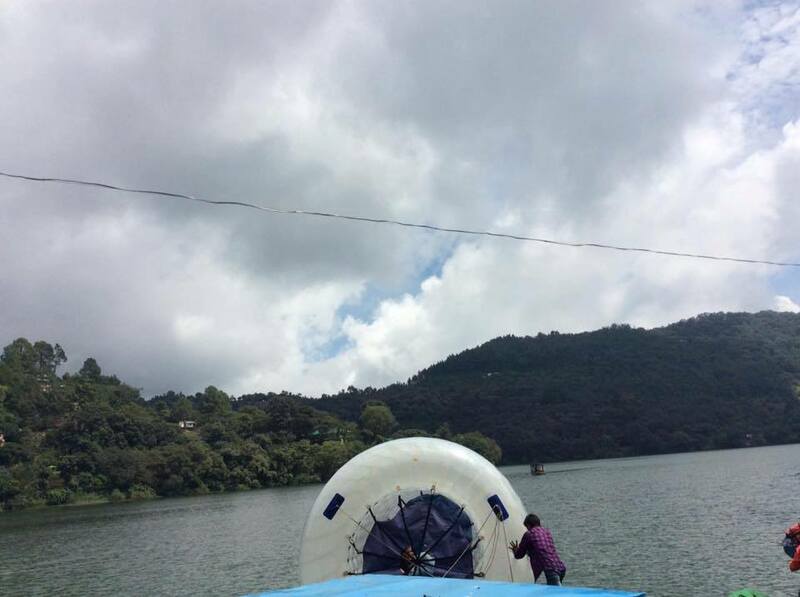 Besides above activity river crossing is also done in Naukuchiatal lake. 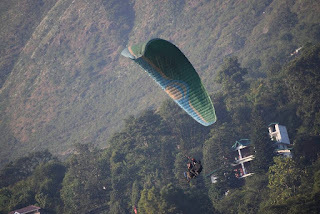 Naukuchiatal is also famous among tourists for paragliding. Paragliding provides bird eye view of lake, hills and valley which attracts lots of adventure seekers. 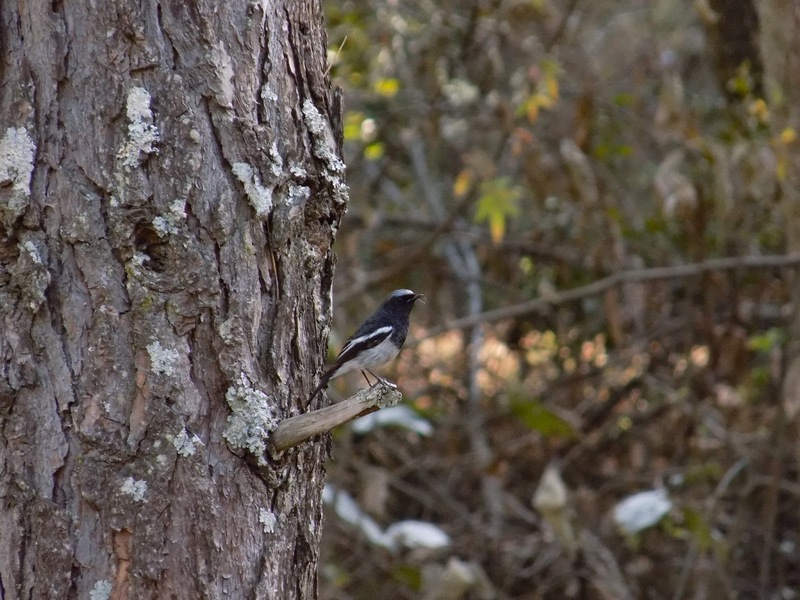 Naukuchiatal is also famous for bird watching because there is huge green vegetation spread around the lake that attracts a lot of birds in Naukuchiatal. Just before entering Naukuchiyatal, hanuman mandir is an attractive place for devotees. Here 52 feet tall Bajrangbali statue draws one's attention from far away. There is a spectacular view of the terraced fields, mountains and valleys from the temple complex. 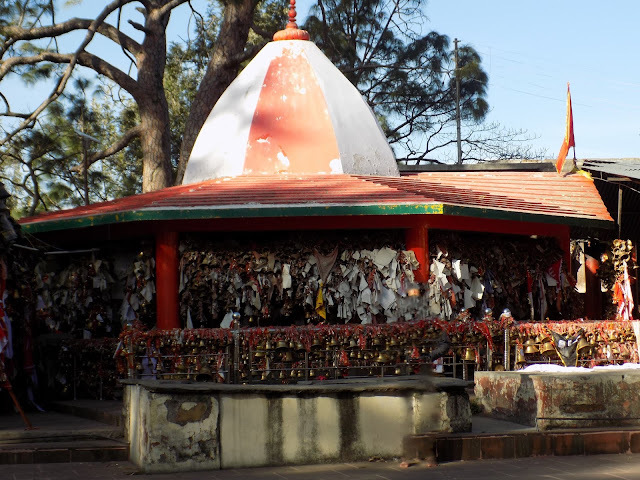 Artificial caves of Vaishno devi are also here in Naukuchiatal. 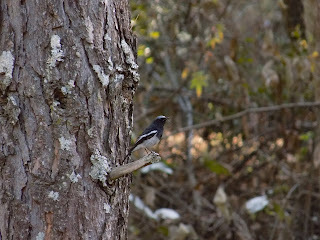 Naukuchiatal is a serene, far from crowd place, still there are some decent hotels and homestays in there. Staying around the lake is an exhilarating experience. 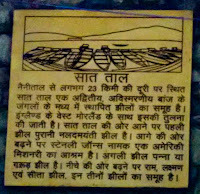 Apart from this there are many options available for resting in the near town Bhimtal, just 5 kms from Naukuchiyatal.